Conflict can be defined as 2 or more parties with opposing views having a disagreement or debate. Examples of where conflict shows up include parent-child conflict, workplace conflict, couples conflict, peer conflict. Some of us attempt to avoid conflict as if it were the plague. Others welcome conflict as if it were a long-lost friend. The purpose of this article is to enhance your tool box so you are prepared to manage conflict as it occurs in your personal and professional lives. “It’s better not to talk about conflict?” This statement may speak to what we were taught about conflict. What are your views about conflict? Can talking about conflict make the problem worse? Discussing the problem that resulted in conflict is likely to cause both parties to escalate. However, the things we do not discuss have no chance of getting resolved. “The other party must change!” Take a minute to reflect on your last conflict. Did you spend time attempting to convince them why your way was “the” way? Did you spend time convincing them that you were right and they were wrong? Maybe you were on the other side of this conflict where you were the receiver of this convincing and persuading. Did this strategy effect change in you or the other party? We may be able to temporarily convince or persuade someone to see things through our lens but it is nearly impossible to sustain this behavior. Remember, change comes from within and is sustained by internal motivators. “Conflict is a form of communication.” I see many clients who seek our services stating “they want to learn to communicate with each other.” I remind them that they are in fact communicating with each other, conflict is a form of communication and conflict occurs in the healthiest relationships. Combat, however is not a healthy form of communication and occurs when each party is gearing up to take on the other on the battlefield. “We can change how we respond to conflict.” Conflict is 10 percent of what we absorb from our party and 90 percent of how we respond or react to our party. As mentioned previously, we cannot change our party, but we can change how we think and respond to conflict. Be the change you want to see. 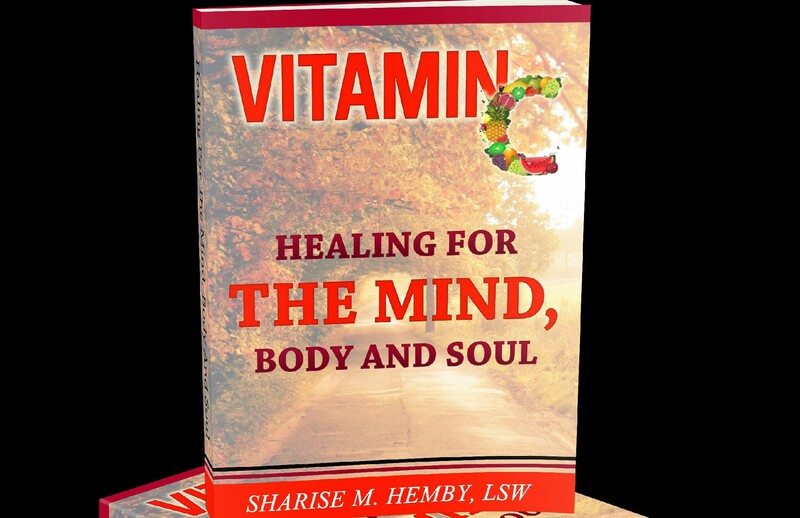 I discuss this further in my book, Vitamin C: The Healing Workbook, available for purchase here. Use the conflict as an opportunity. Our perception is our reality. If we view conflict as combat, each time conflict arises we will gear up to battle our party. However, if we view it as an opportunity to learn, grow and connect; conflict may not have such a negative connotation associated with it. “Get comfortable with being uncomfortable.” Although conflict is normal in all relationships, it is still uncomfortable for most of us. We must have those necessary, but uncomfortable conversations where conflict will arise in order to grow in our relationships. Helping professionals who advocate for social justice on behalf of their clients encounter conflict almost on a daily basis. Co-parents disagreeing on child rearing practices, colleagues disagreeing on company projects, business partners disagreeing on the structure of the company are more examples of relationships where each party relies on the other for a bigger cause; and their ability to manage conflict can have a profound impact on society. “It’s not what you say, but how you say it.” When managing conflict we need a healthy balance of emotion and logic in order to be successful. Emotions allow us to have empathy and logic allows us to reason. Being empathetic is acknowledging the other party’s position. Lead with “I” statements in order to avoid blaming. For example “I feel hurt when you call me names.” “I’m hearing you say.” Applying logic to conflict is using discernment and determining when it is okay to agree to disagree. When approaching a situation that may result in conflict, take a deep breath and ask yourself these 2 questions, “What is going on within me that will impact this conversation?” What am I hoping to accomplish from this conversation?” Remember, conflict is inevitable; combat is optional. Are you seeking techniques for managing conflict in your life? Click here for more information on managing conflict.